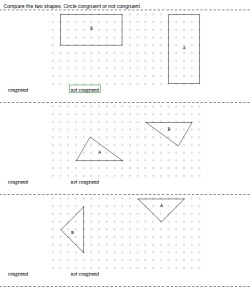 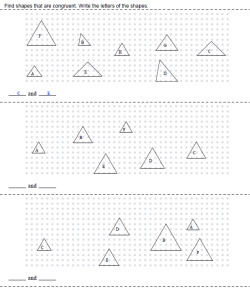 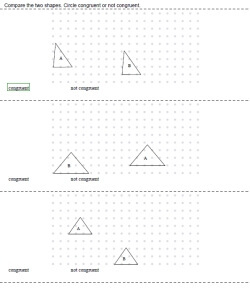 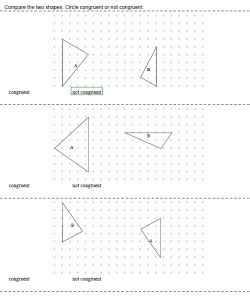 All congruent shape exercises are not the same, and these smart worksheets will help students understand congruence through a variety of exciting activities. 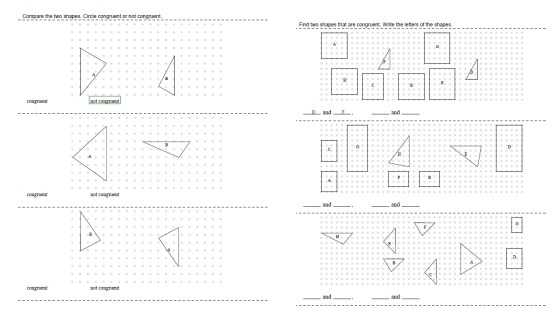 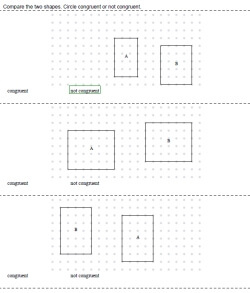 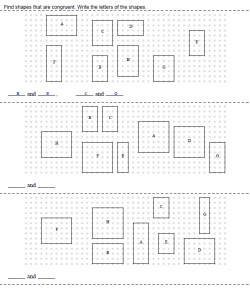 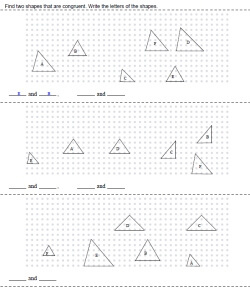 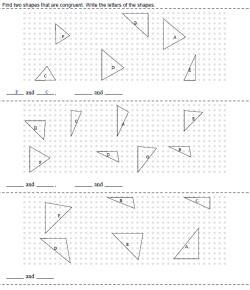 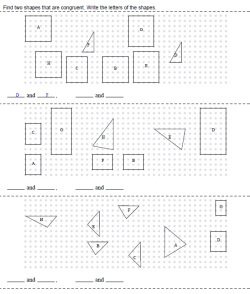 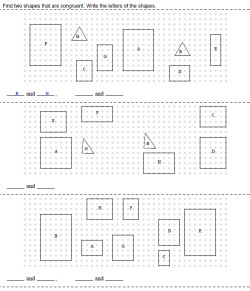 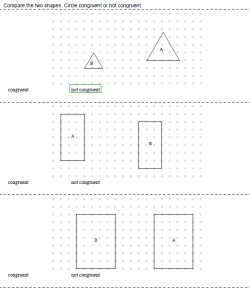 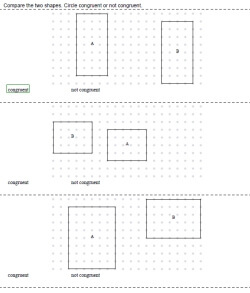 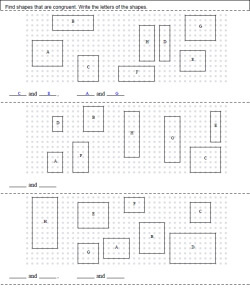 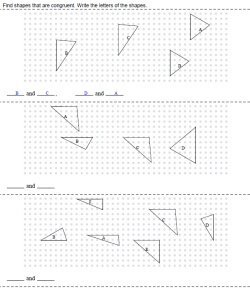 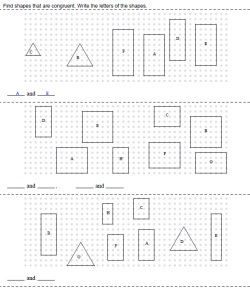 Students will master congruent rectangles, squares, triangles, and angles through worksheets. 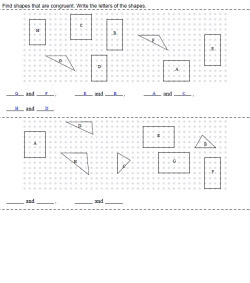 More advanced options include rotation, as well as high school worksheets that cover different types of triangles and practical, customizable mixed reviews.